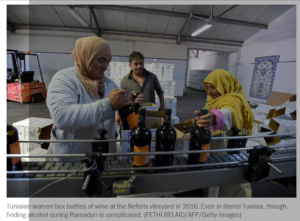 The Washington Post has an article by Khalid Diab about the complications that arise around the issue of obtaining alcohol during Ramadan. Excerpts are posted later. As Shahab Ahmed points out in his magnum opus (What is Islam), drinking alcohol is prohibited in Islam, but it is also an established feature of Islamicate culture; i.e. not only is it regularly used (by a minority), it is celebrated in poems and songs, there are rituals associated with its use, everyone knows someone who drinks and drinkers have their own (albeit not always comfortable) place in society. 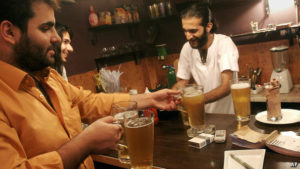 In some countries (Saudi Arabia, Iran) it is strictly prohibited and users can expect serious penalties if caught, but even in those countries a great deal of regular communal drinking does go on. A few more countries (like Pakistan) have prohibition, but with more exceptions than exist in Iran and Saudi Arabia (non-Muslims and foreigners can buy alcohol, some high end hotels have bars, and so on). 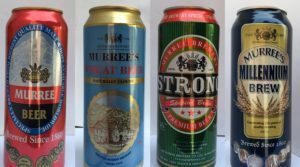 In several other countries (Egypt, Tunisia, Indonesia, etc) alcohol is widely available and can be purchased in supermarkets and even in small roadside kiosks (what would be called a Khoka in Pakistan). But in all these countries, there is a visible change during Ramadan: many regular drinkers voluntarily give up alcohol for the month and those who continue to drink may go deeper underground than usual. I have friends who cannot go to sleep without one (or several) nightcaps, but who will not touch drop during Ramadan. They invariably get drunk on Eid. Although alcohol is considered haram (prohibited or sinful) by the majority of Muslims, a significant minority drinks, and those who do often outdrink their Western counterparts. Among drinkers, Chad and a number of other Muslim-majority countries top the global ranking for alcohol consumption. During Ramadan, though, many Muslim drinkers abstain from consuming wine, beer or spirits of their own free will for the duration of the month — just as some lapsed Christians give up a vice for Lent but never set foot in a church except for christenings, weddings and funerals, or some secular Jews who eat bacon still avoid bread at Passover. It’s a relatively straightforward way to keep a link with tradition and heritage in these rapidly changing times, which helps explain why Ramadan is so important in largely secular Muslim nations like Tunisia. When I still fasted, I would get together with friends to have one for the road before the long, arduous trek through the Ramadan dry lands, until Eid al-Fitr, the celebration of the end of the holy month, made it safe to leap off the bandwagon once again. most Muslim drinkers I’ve met view imbibing as a minor sin (even though they indulge in it), and thus, if they fast during Ramadan, they abstain for the month. This can lead to some peculiar situations. Last year, at a barbecue organized by European friends in Tunis, I debated, wine glass in hand, with a secular Tunisian — sipping on fruit juice because, even though he wasn’t fasting, he had given up alcohol for the holy month — whether it was hypocritical and an infringement on personal freedom to ban the sale of alcohol during Ramadan. Weirdest of all, perhaps, is the tiny minority of Muslims who fast and then drink at night after they have broken their fast. This may seem discordant, but it’s not as odd as it appears. From Islam’s very inception, there has been a debate about what exactly the Koran’s vague passages on drinking prohibit. Although the majority opinion holds that the intoxicant — alcohol itself — is banned, a minority view is that it is intoxication — getting drunk — that is forbidden. Far more common are Muslim drinkers who do not fast and, hence, wish to continue drinking during Ramadan… in countries that normally have booze in abundance, including my native Egypt or Tunisia, where I live now, getting a drink during the fast requires foresight, planning and resourcefulness. …I recall the first Ramadan I was in Egypt after I gained my Belgian citizenship. I made a point of visiting one of my old watering holes with a mixed group of friends. When I ordered my beer, the waiter asked discreetly whether I had a foreign passport. I flashed it to him, and his smile said that would do nicely. The staff turned a blind eye to the fact that the orange juices for the Egyptians without foreign passports in our midst had hardly been touched and that the “foreigners” had ordered more alcohol than we were likely to drink. I liked the article. Khalid Diab wrote a frank but humorous take on the drinking culture of Muslims urbanites everywhere. What I liked more is that atheist, skeptic Muslim voices on everyday life matters are getting increasing regular fare in mainstream press. These are the small things that will normalize Islam. I always find statements that generalize just about any feature of “Islamicate culture” to be a little unconvincing. Some features of Islam are indeed amenable to generality. E.g. 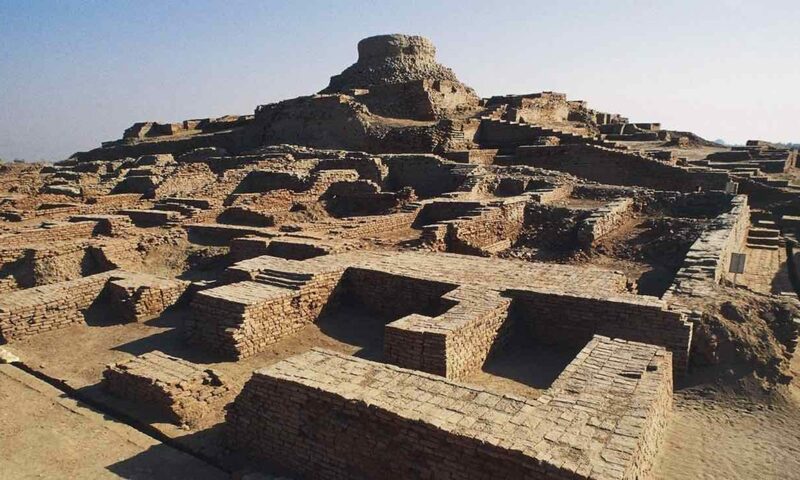 architecture is an obvious universal and one can reasonably talk about common Islamic architectural motifs from the Alhambra to the Taj Mahal and everywhere in between. Yet not all features are Islamicate. Language for one. Same, to my mind, may be true of the culture of drinking. 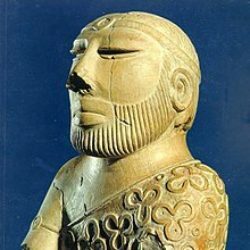 The use of inebriation metaphors in literature of Muslim societies seems rather specific to Persian and Persian-influenced (cf Urdu) worlds. The modern cultures of Arabic-speaking countries of Maghreb were very strongly influenced by their colonial Mediterranean neighbours to the North (esp France and Spain), where wine-drinking is age old. E.g. I know many Moroccan Muslims (both Ramadan-observing and non-observing variety) who drink without compunctions on a normal day. This seems to me to be quite a different cultural preference compared to core Middle East.